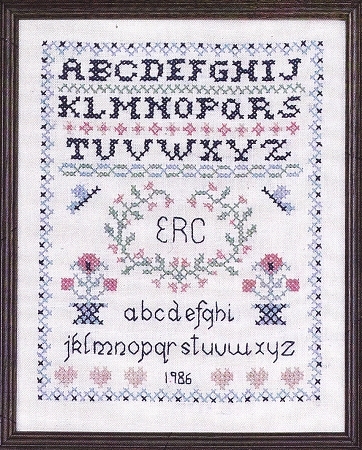 This very charming cross stitch sampler, stamped on Imported linen,like all of our samplers, is very appealing in country colors. The sampler includes a floral design with flower motifs , two sets of alphabets, with space within a flower design to sew your initials. Haven't had chance to start this one yet but am enjoying the one I'm working on now.